For off-road durability, we used Cordura™ in the main construction of the glove. Simply put, Cordura™ products are designed to take a beating and keep coming back for more. For further reinforcement, the palms and inside thumb use a double-layer Clarino® which drastically improves the life of the gloves. The back of the gloves feature direct-injected TRP, this protective material runs the full length of the fingers, and shields your hands from a barrage of overhanging branches, brush, and other impacts. If conditions get muddy and damp, or when you ford a stream or two, the TPU lined gussets will help keep things dry. Silicone grippers on the index and pointer fingers leave you in full control of the clutch and break when the levers get a little slick. And, the brush fleeced liner will keep your digits comfortable and warm. The gloves feature compression-molded cuffs which fit snugly without feeling uncomfortable. Pull tabs on the inside of the wrist allow you to slip them on with ease. And the hook and loop closure is textured so you can cinch them nice and tight. Oh, and don’t forget to take plenty of pictures on your next adventure. The gloves are smartphone compatible, so you can capture every moment without removing your gloves. 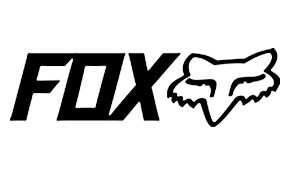 Of course, feel free to share #foxracing. Combine the Legion Gloves with other gear in the Legion Offroad collection and you will be ready for any journey.